Google Home is launched. It seems to be a fine competitor to Amazon Echo. It is small and looks like a cylinder and the speaker bows out a little. You can customize it with different base cells to match your décor. Google Home is designed with multiple rooms and speakers in mind from the start and in that sense it’s far superior to Amazon’s Echo which has been primarily designed for a single room. Google has been consistently trying to set into the living room. Their first two efforts – the Nexus Q, a futuristic digital media player launched in 2012 and the Chromecast, a small, affordable media streamer – did not succeed. Google Home connected speaker is their effort to succeed and it they have hit the nail it seems. 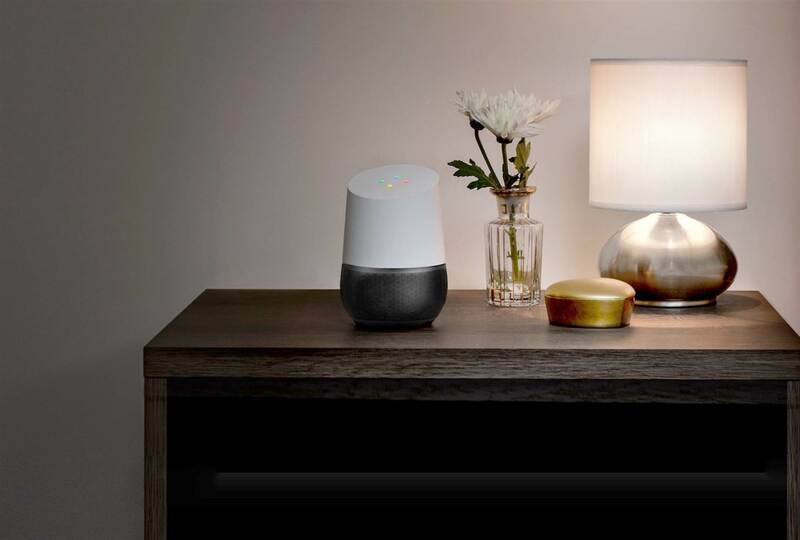 Google Home has been designed to be a multi-facet device. You may speak to it, ask it to play music, put up questions, ask it questions, or direct it to add things to your grocery list. The device can work in tandem with your Nest Thermostat, Chromecast, and a few other IoT (Internet of Things) devices. Build quality of this smart speaker is excellent and you won’t feel any hesitation carrying it around. Made of plastic, it resembles an air freshener blending well with any portion of the house. White Slate model of Google Home connected speaker is most popular; there is an array of base color options to choose from. Amazon’s Echo, however, is superior to Google Home in one area which is extensibility and There is one area where Home might not be as capable as the Echo, however, and that’s when it comes to extensibility and compatibility with other devices. This is because Google has not chosen to open up its API. The sound quality is outstanding. The device has a total of four speakers that can be located under the detachable speaker grill. Whether you want to play music or listen to podcasts, sound quality is fantastic. The speakers are capable of providing low bass and clear highs. However, do not turn the volume up too high as the sound may crackle quite a bit. As for apps, Google Home only a handful of them, a half of which are from third parties. The device supports Google Play Music, YouTube Music, YouTube, Keep, and Calendar along with third-party services such as Spotify, Pandora and TuneIn. This limitation is largely compensated by Google Assistant which can give you a daily briefing based on your events in Google Calendar, but you can’t set reminders. This is a great disadvantage and google should have thought about it before launch. If your favourite is not supported yet, but you may be in luck as Google Assistant is also compatible with IFTTT. This might be able to bridge the gap. You can ask Google Assistant to post something to Twitter. If you have the IFTTT set up. The same thing is true for other apps.